Physical details on enlistment Age 23 years 6 months. 5’8”, 12 stone 2 pounds, brown eyes and black hair. He had tattoos of horseshoes, crosses and anchors on both arms. He received a bullet wound to the skull at Gallipoli and died on the Hospital Ship “Royal George” in Alexandria on 13/5/1915. 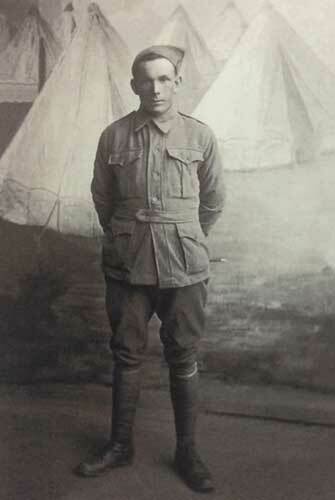 Private McIlwaine was wounded at Gallipoli and died of wounds on May 13th 1915. He is buried in Egypt. He was in the 8th Battalion which was a Victorian Battalion immortalized in the series The Anzacs. 13/5/15. He died of wounds on the Hospital Ship Royal George in Alexandria Egypt He had a bullet wound to the skull. His mother applied for a 1914 Star and Mr. McIlwaine had it presented to him.